Measuring faces are manufactured from Tungsten Carbide steel for maximum durability and a long life. The thimble and sleeve are manufactured from Matt Chrome. 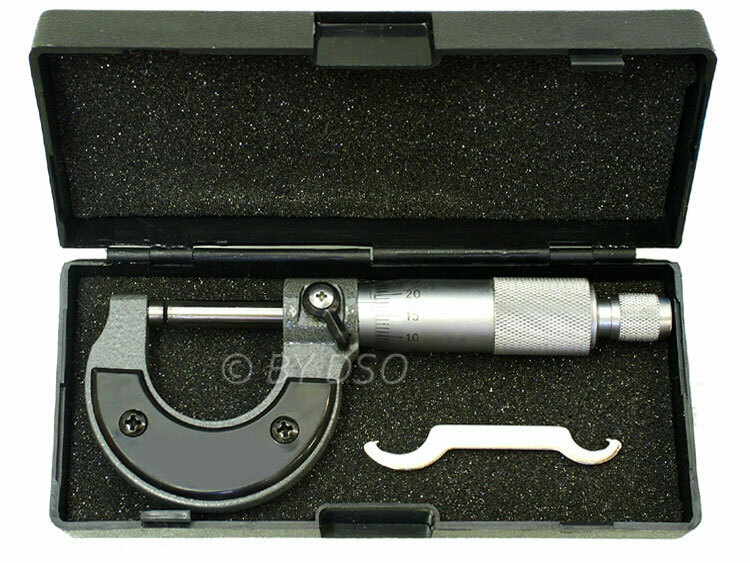 This micrometer ranges from 0-25 mm with 0.01 mm increments and a lock to give you the most accurate reading. All neatly packed in a carry case to keep your micrometer out of harms way.